A Sears department store is pictured in La Jolla, California, U.S., March 22, 2017. 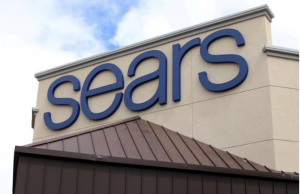 “Sears Holdings Corp (SHLD.O) is closing eight of its namesake department stores and 35 Kmart locations to cut costs and square footage in an effort to return to profitability, Chief Executive Officer Eddie Lampert said on Friday. The store closings are in addition to 150 the company announced in January. As anchor tenants like Sears retreat, smaller adjacent retailers will suffer from reduced foot traffic. Where possible, increasing density utilizing Sprawl Repair techniques can return jobs and tax revenue to communities. ← What to do with dead malls?